The PHP FastCGI Process Manager (or PHP-FPM for short) is now the standard means of deploying the PHP interpreter. 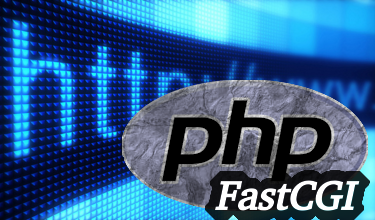 Unlike CGI, the FastCGI executable remains resident in memory even after the request is done and unlike storing an interpreter in a server module (a la mod_php) the interpreter only appears in memory once with its worker processes only being scaled up or down to meet the capacity requirements for the actual PHP work. Considering this it may be useful to understand how to configure the FPM daemon to best suit your needs. A pool is a collection of FPM worker processes that share common characteristics and application purpose. The ideal scenario for pools is the traditional model where you have a single PHP-FPM instance serving PHP requests for multiple virtual hosts where each virtual host either gets its own pool or points towards a generic “common” pool. In this situation, pools give the administrator a way to define each application’s behavior and resource constraints. You have two choices when it comes to how you want to your application to connect to its pool: Unix Domain Sockets or TCP. In general, you should always use Unix Domain Sockets unless you have a particular reason to use TCP. TCP is fine but contains a lot of overhead in terms of packet acknowledgement, protocol encapsulation and the number of context switches required per transaction. The only time you should use TCP is when communication with FPM must go over the network. If network accessibility isn’t a concern, you should always use Unix domain sockets. The only scenario I’m aware of where TCP is probably preferable would be a scenario where access to PHP-FPM itself needs to be load balanced. For instance, let’s say you have an internet website accessed through a load balancer as an edge device with static files delivered via CDN. In that scenario, the backend servers need to be network accessible (since they may exist on different physical nodes). In that scenario the website can be accessed by the load balancer communicating directly to the PHP-FPM on member nodes over TCP. Once FPM is accessible over the network you may wish to limit the systems that can access FastCGI to eliminate unnecessary attack vectors. Usually I would suggest modifying the firewall instead of doing some sort of application level host-based access control (HBAC) since that would be a common repository of all such controls and thus be more easily reviewable/discoverable. There is a use case for FPM though. In the age of microservices you may have several PHP-FPM instances spread out over an arbitrary number of nodes with that number and its distributions varying wildly and dynamically (such as with autoscaling). In such an environment you can’t, for example, easily tell which load balancers should be able to connect to which nodes on which ports. To work around that you can use FPM’s native HBAC since you’ll likely need to manage PHP-FPM in other areas as well. The above allows the web server on a Debian to read and write to the socket but no one else. This is probably the most interesting part of PHP-FPM configuration as it’s more centered on what the “FPM” part of it actually does in the first place. As mentioned earlier, PHP-FPM differs from CGI and server module methods of deployment in that it privately maintains a set of worker processes that remain resident in memory and get scaled up and down according to the actual PHP load for an application. static: The number of worker processes is constant irrespective of demand. dynamic: A minimum amount of workers is maintained at all times but the value can be scaled up to a predefined limit (pm.max_children) meet workload requirements. pm.max_children: The maximum number of worker processes PHP will spawn for this pool. In the context of static management this is the constant rate always maintained, in dynamic and ondemand modes this is the upper limit the manager will scale up to. There is no default for this so it’s mandatory for all pool types. pm.start_servers: The number of servers dynamic pools will start with. Not applicable for static or ondemand pools. pm.min_spare_servers and pm.max_spare_servers: Sets the number of long-time idle worker processes dynamic pools will keep around just in case workload increases. pm.process_idle_timeout: The amount of time that ondemand will keep a worker process around without it doing anything. The default of 10s is usually sufficient but if you notice that your local development websites take a bit to spin back up, you may consider increasing this value to 30s or something close. request_terminate_timeout: The amount of time the process manager will wait until it reaps an unresponsive worker. The default is to wait forever and let max_execution_time in the main php.ini configuration kill the script but there may be cases where the worker itself gets stuck. For instance a bad extension or a bug in PHP itself. The above will cause workers in the given pool to be very deferential to other processes on the system. For containers the former method (of setting defaults) probably wouldn’t have much benefit over editing the php.ini directives themselves since there’s likely only one pool. The latter method actually provides the only native mechanism I’m aware of for making particular php.ini values mandatory. For our purposes here we’re going to concentrate on the two logs that will likely help you diagnose errors with your application: the PHP-FPM access log and the slowlog. We’re not going to go over the error log since that gets sent back to your web server over your chosen means of connectivity and saved according to whatever rules you have configured there. It creates a web accessible page whos access you need to restrict in case sensitive information about your application ends up there somehow (via query string or something similar). Luckily PHP-FPM provides us with a more comprehensive solution in the form of the PHP-FPM access log. This access log functions similarly to the access logs with nginx or Apache in that it records each request that makes it back to the PHP-FPM worker threads. %C CPU time used in executing the script. The above is just the alternative format listed (albeit comment out) in the default pool configuration (www.conf) for both distros. Ok so the access log has pointed out one of our scripts is taking an inordinate amount of time. How do we figure out which function call seems to be slowing down execution without resorting to full-blown profiling of the application. One solution is to configure PHP-FPM’s slowlog feature so that when a pre-defined time period expires a function trace gets written out for developers. Adjusting the values as appropriate and restarting. If php-fpm is running inside a Linux container you’ll need to make sure processes inside the container have CAP_PTRACE. For Docker containers that means adding --cap-add=SYS_PTRACE to your docker run command. One thing to bear in mind: since slowlog can be written to continuously with the traces being particularly long you probably shouldn’t have this enabled on a production server unless you’re running into intermittent issues that are difficult to reproduce. Additionally, if your use containers to service production content you’ll probably not want to give them privileges if you can avoid it. Given the above you should only temporarily enable slowlog in production while you either try to reproduce the issue or get it to resurface. Occasionally, you’ll run across a need to find out specifically what a PHP-FPM worker process is actually doing. For instance, let’s say you frequently get high CPU utilization alerts from your monitoring and can’t figure out what’s causing the spikes in CPU because all top shows you is that it’s a PHP worker process. To tease this information out of FPM, you can configure it to generate a web-accessible status page that displays the details of currently executing workers. Please note that many web server configurations will test for file presence before handing of to PHP. If that’s the case then you’ll need to find a way around that, most likely by explicitly listing the status path as part of the “does this exist” check. You’ll notice that it gives you both the pid of the worker as well as the request URI that came from the browser. Armed with this knowledge you can now try to isolate the problem and deal with it appropriately. If you use a server module to execute your PHP, then modifications to the environment to nginx or apache is usually sufficient to get it to pick up some hard coded value. With PHP-FPM now that it’s running outside of a service, you now need to set the environmental variables on the execution pools that need them.